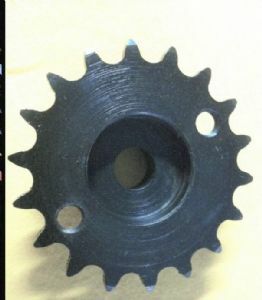 This is a new Magneto sprocket to fit all the Norton twin-cylinder engines that used a magneto ie Model 88, 99, 650SS and Atlas. This is a plain sprocket without an auto advance and is useful when fitting an electronic ignition conversion to your Twin in place of the old magneto. The sprocket is correctly made in England. It has 18 teeth.